Fleet management is one of the simplest ways to save huge amounts of money on fleets of vehicles. No matter what size fleet you have from 1 to 1000 vehicles the Trackmatic system will enable multiple users to access various reports relating to their job role. This in turn can save the company money in all areas of fleet management. One of the most important things you should do when considering a vehicle tracking supplier is to have a demonstration online. This allows you to get a feel for the system a bit like test driving a car. The Trackmatic system is fully customizable allowing you to place your logo on the system and change the dashboard for each user. Too many companies have tried competitors only to realize they are not getting the best use of the system because of its lack of customized features. Contact us on 04889 3955 Today for a free demo. 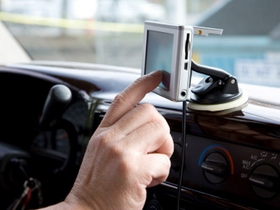 Trackmatic are leaders in the field of Telematics and vehicle tracking systems throughout New Zealand. We started way back in 1998 and since then have grown to become one of the largest tracking system providers in the country.